It looks like wedding dresses are out and bridal lace jumpsuits are the “in” thing this 2018 and yes, these jumpsuits quite revealing. 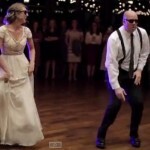 Wedding jumpsuits were originally noticed by wedding blogger ‘Lisa’s Wedding World’ and she even posted a photo of the audacious creation designed by a Spanish brand called Pronovias. Check out the wedding jumpsuit below courtesy of Cristina Pedroche’s Instagram - is this something you would wear to your wedding day? 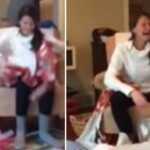 Watch This Woman Completely Lose The Plot After She Was Proposed To On Christmas Day!